The cab strikes that swept across India in recent months have had an unexpected fallout. 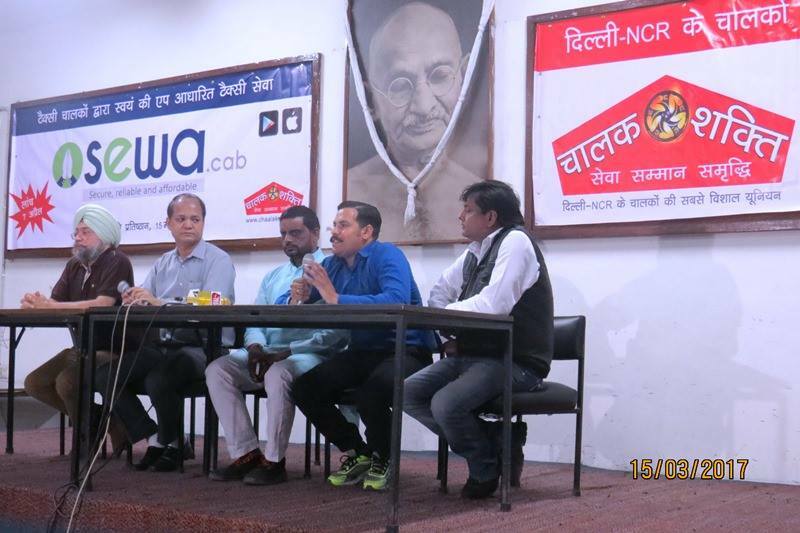 Chaalak Samiti, a drivers’ union in Delhi has announced that it will be launching Sewa Cab, its own cab aggregator app on 7th April. The app will be run by the drivers themselves, and will squarely take on Uber and Ola. The union claims that unlike aggregators, which can charge as much as 27% of the fare as total commissions, Sewa Cab will charge a straight Rs. 700 monthly fee from its drivers to be on its platform. Crucially, the company already seems to be some way along towards starting its service. It’s demonstrated the app to the media, and it appears to have a basic set of features. Customers will be able to hail a cab through their apps, and the closest cab will be notified of the ride request. The driver will then call the customer, and reach his location. Once a customer boards the cab, the driver will identify them by entering their phone number on his app. After the ride starts, a fare meter will record the travelled distance, and display the final fare. For starters, the drivers will collect fares in cash, but the union plans to move towards a digital wallet soon. The cab union also revealed that it had been working on a key part of running a cab-aggregator business – on boarding drivers. The union says that while the drivers had been striking in the capital, it had been running a membership app for enrolling drivers, and through it, has managed to build a community of drivers. The app keeps the participating drivers in the loop through industry news, views, information, help manuals and the facility to hold opinion polls. The union, though, hasn’t definitively revealed the fares that Sewa Cab charge, but it’ll be hard for it to match Uber and Ola. The cab aggregator giants subsidize rides for customers, and provide additional incentives for drivers. This means that they rely on VC funding to keep operating – Uber’s global losses last year were over Rs. 13,000 crore. But the cab union says that it’ll keep costs low by being frugal. “Ola and Uber have been some of the biggest recruiters from IITs and IIMs at starting salaries of 18 lakhs per year. Many of their managers are paid in crores,” a union leader said. That does appear to be a grouse of the driver community – that the cab aggregators are taking too large a slice of the overall taxi industry pie. There have been dramatic strikes across Delhi, Hyderabad and Bangalore to protest low driver earnings, and they have also tended to turn violent – Uber’s office was vandalized in Bangalore, and a driver committed suicide in Hyderabad after being harassed by loan officials. But this new app – if it takes off – could put the drivers’ destinies back in their hands. What these Delhi drivers are attempting isn’t unique. In the US, Austin has banned both Uber and Lyft within its limits, and instead uses a non-profit service called RideAustin. It’s well liked by commuters, even though it’s more expensive that Uber, it’s cheaper than traditional taxis. Austin’s experience with RideAustin shows that the model works. If Chaalak Samiti can provide a similar experience, Delhi could well see its cab aggregator industry be upended.